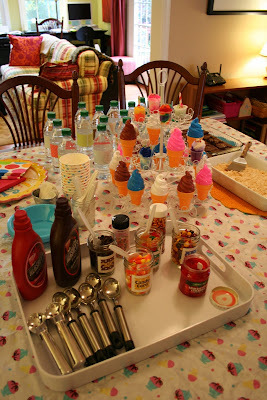 Pink and Green Mama: * Nintendo Wii Play Motion Ice Cream Party! new Wii Play Motion game with some of our friends. very unusual for our neck of the woods in October! It was snowing as guests arrived. The (big) boys all got down to business playing right away. The girls didn't take too long to join in! We had a little ice cream parlor set up on the kitchen table. Check out all of the yummy toppings they hooked us up with! I added homemade rice krispie bars and brownies. 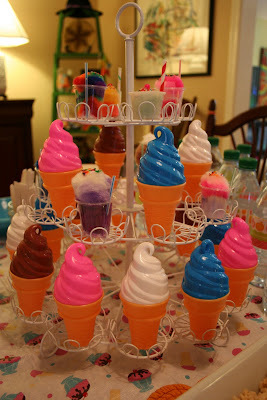 Yum... my house smelled awesome. I should just start baking brownies every time! We also had crafts set up for the kids in the art studio. Remember these? They were a big hit. 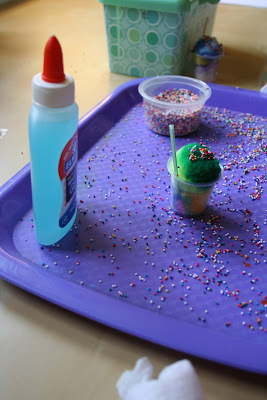 or add real sprinkles with some gel glue! in the art studio afterwards?! We also made these cute Felt popsicles. I set out cardboard templates (cut from a kleenex box). 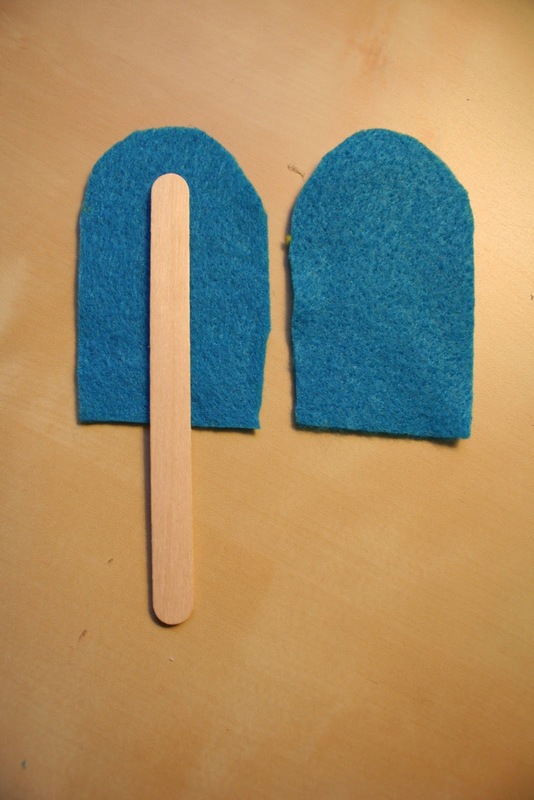 Trace the template and cut two pieces of felt. Then, glue a popsicle stick in the middle with Elmer's school glue. The gummy bears and cherries were the most popular with the kiddos. and replaced the labels with cute scrapbook paper and ice cream stickers. Signs that I've spent too much time on Pinterest lately! 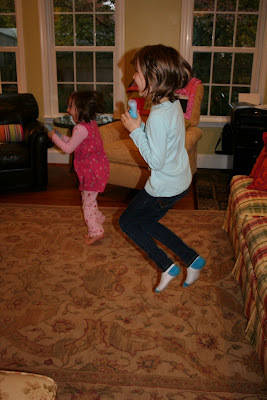 there was a lot more Wii action! We all decided the "Cheesecake" flavor was our favorite ice cream flavor. "Cake Batter" and "Strawberry" were close seconds. have been our favorite Wii Play Motion games! party favor aisle at Target. They were a big hit with the littles. to eat yummy ice cream sundaes. 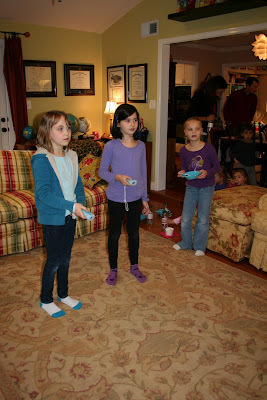 Wii all had a great time (especially Mii)!